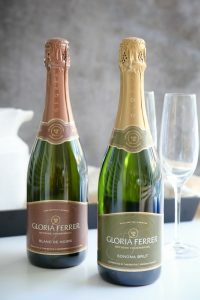 Hello Dallas wine enthusiasts, I will be joining Gloria Ferrer Caves and Vineyards for their wine club event on April 14th at Rosewood Mansion on Turtle Creek. Club members are invited to join us. Not a member? I will be giving two couples a chance to win free admittance to this $75/person tasting event. Yes, there is a catch. To be eligible I’m inviting you to join my wine community on Patreon. You’ll receive interesting news and behind the scenes content about this world renowned Northern California wine region. As a subscriber, for as little as $5 a month, my posts will come to you directly. Rewards are also included. Click below for more details and if you join, you’ll be entered to share bubbles with me and Gloria Ferrer at the beautiful Rosewood Mansion on April 14th.